Norm Pearlstine is stepping down as chief content officer of Time Inc., one of several shakeups the company announced Wednesday. Pearlstine will remain with Time Inc. as vice chairman, focusing on "international growth opportunities for our brands and content, as well as other projects," the company said. 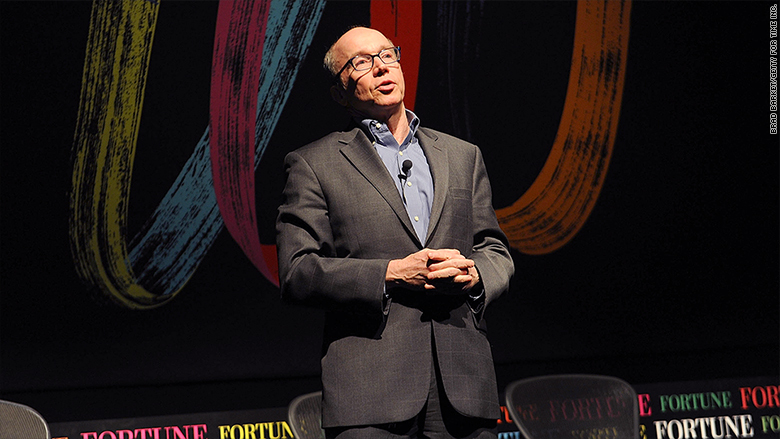 He will be replaced as chief content officer by Alan Murray, the editor of Fortune. Time Inc. also announced that Evelyn Webster, who has served as executive vice president since 2011, will leave the company at the end of next month. Pearlstine, 73, has had a long career with the company, acting as editor-in-chief from 1995 to 2005. He joined Bloomberg L.P. in 2008, overseeing multiple facets of the company before becoming chairman of Bloomberg Businessweek. Pearlstine was hired back by Time Inc. in 2013, assuming the role that he is now leaving. Vanity Fair reported last month that Pearlstine was in talks to step down as chief content officer. Those weren't the only changes announced Wednesday. Time Inc. also unveiled new structures for the advertising sales, editorial and brand development groups at the company. Jen Wong, the president of Time Inc.'s digital operations, will now lead The Foundry, the Brooklyn-based creative studio that handles the company's branded content and native advertising. Time Inc. chairman and CEO Joe Ripp said the changes will allow the company "to unlock and scale innovation while unifying processes and advertising opportunities critical to our future."